Should You Buy Chemours Co (CC)? Among the funds we track at Insider Monkey, Chemours Co (NYSE:CC) was included in the portfolios of 31 funds at the end of September. 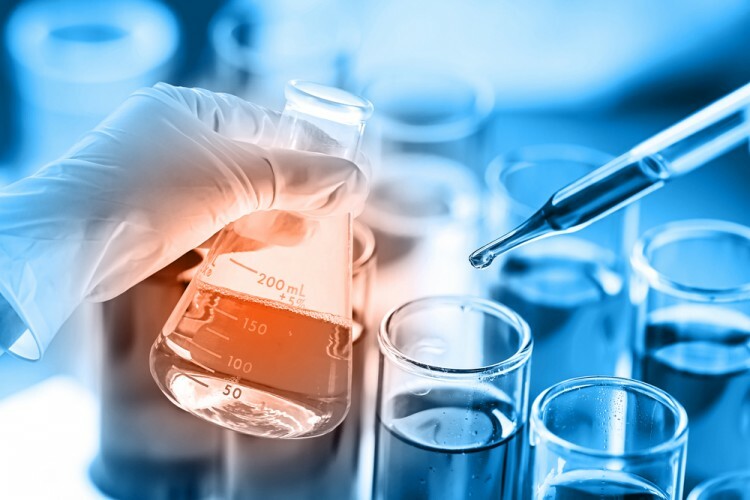 Chemours has experienced an increase in enthusiasm from smart money during the third quarter, as there had been 28 funds holding shares of Chemours a quarter earlier. 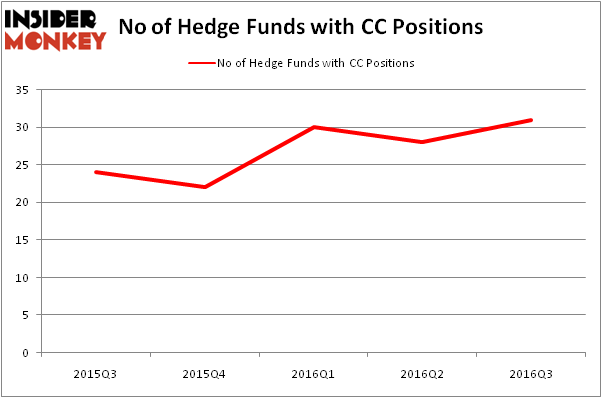 However, the level and the change in hedge fund popularity aren’t the only variables you need to analyze to decipher hedge funds’ perspectives. A stock may witness a boost in popularity but it may still be less popular than similarly priced stocks. That’s why at the end of this article we will examine companies such as Houlihan Lokey Inc (NYSE:HLI), GoPro Inc (NASDAQ:GPRO), and Ollie’s Bargain Outlet Holdings Inc (NASDAQ:OLLI) to gather more data points. In the financial world there are tons of indicators stock traders put to use to appraise stocks. A duo of the less known indicators are hedge fund and insider trading moves. Our experts have shown that, historically, those who follow the top picks of the best money managers can outpace the broader indices by a solid margin (see the details here). With all of this in mind, let’s review the new action encompassing Chemours Co (NYSE:CC). How have hedgies been trading Chemours Co (NYSE:CC)? As mentioned earlier in this article, during the third quarter, the number of funds tracked by Insider Monkey long Chemours went up by three to 31. With hedgies’ capital changing hands, there exists a select group of notable hedge fund managers who were boosting their holdings meaningfully (or already accumulated large positions). Of the funds tracked by Insider Monkey, David Einhorn’s Greenlight Capital has the most valuable position in Chemours Co (NYSE:CC), worth close to $261.9 million, corresponding to 5% of its total 13F portfolio. Sitting at the No. 2 spot is Sessa Capital, managed by John Petry, which holds a $124.8 million position; 27.7% of its 13F portfolio is allocated to the stock. Some other professional money managers with similar optimism consist of Thomas E. Claugus’ GMT Capital, Jeffrey Gates’s Gates Capital Management and Debra Fine’s Fine Capital Partners. Hedge Funds Like What Panera Bread Co (PNRA) Is Cooking Up Bill Miller Likes Buffett’s Timing On Airlines, Talks Valeant (VRX)&#... Fir Tree Goes Big on Tech, Consumer Stocks in Q3: Hewlett Packard (HPE), TiVo... Is The Dow Chemical Company (DOW) A Good Stock To Buy? Investors Are Going Crazy for EOG Resources Inc (EOG) Is The Ceiling About to Fall On Beacon Roofing Supply, Inc. (BECN)?